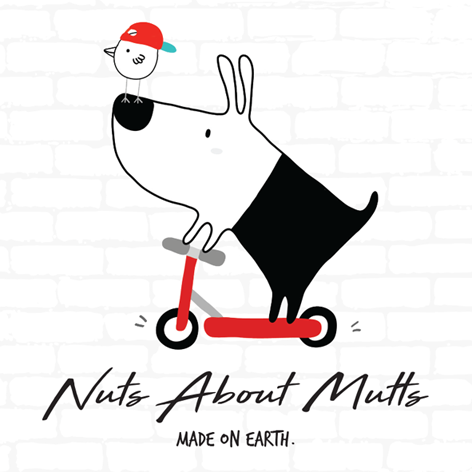 Comical and quirky, dog on a bike on a rich red background will delight bikers and non bikers alike. 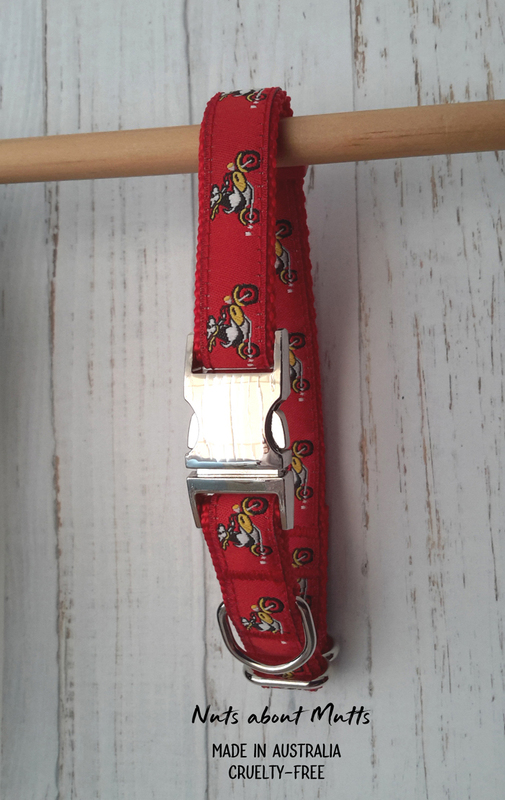 Can be purchased with metal or plastic buckle. * Imported woven ribbon stitched onto strong polypropylene webbing. * Top quality imported plastic and metal hardware. * Our collar and lead range is proudly hand-crafted in Australia. LARGE, fits neck 40-55cm approx. Collar width 25mm. X-LARGE, fits neck 50-60cm approx. Collar width 25mm.